Boots' deal of 'buy one get one half price' has lured me in once again. Over the past week I have somehow accumulated six nail polishes (possibly my personal record), none of which cost me much at all. Confetti cost £2.50 as it was cheaper than another item I bought in a separate trip to the other five polishes. The other five totalled at £9. 9 beautiful British pounds, and that was all. Damson Dream cost £3 as I had a £3 off no7 makeup voucher, received by spending over £5 in my previous Boots trip. 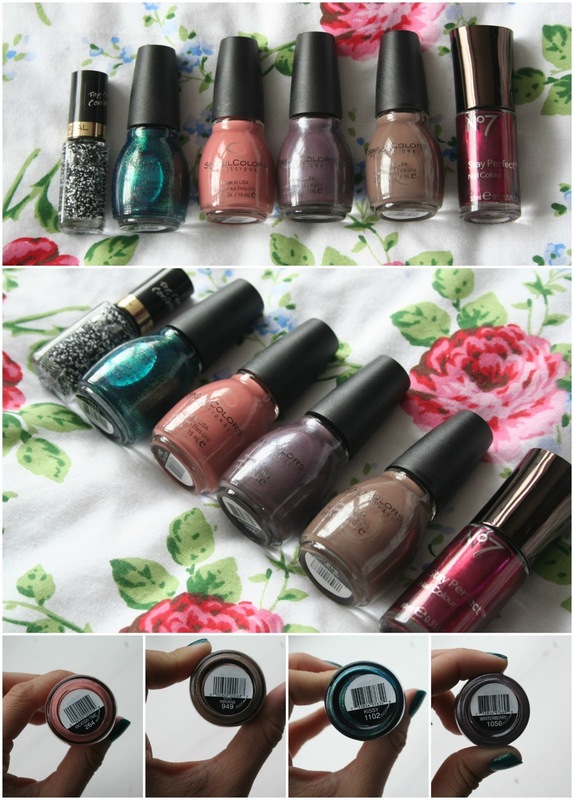 The sinful colors polishes were selling for a mere £1.99, which is bonkers (in a great way, of course.) Being buy one get one half off, the four of them came to £6 which is just fantastic. I am currently wearing Kissy on my nails and I feel like a mermaid...one with pretty nails and a happy wallet.